With the ever-growing climate changes due to ozone depletion, and the identification by the EPA that the manufacturing and use of certain fire suppression agents contributes to this depletion, ARCO Protection Systems was founded in 1994 as a gaseous fire suppression agent recycling company by Craig A. Arco. At company inception ARCO consulted with many national and world known banks with the need to upgrade existing obsolete Data Center Fire Suppression Systems. As part of the system upgrades, ARCO would facilitate the system decommissioning process, broker the recycling of the obsolete agent for reuse, and consult on the new Clean (non-ozone depleting) Agent Suppression Systems. This led to ARCO performing many of the upgrades as a prime contractor. To date ARCO has facilitated the recycling of over 100,000 pounds of ozone depleted fire suppression agent. In 2003, ARCO Protection Systems, Inc. expanded its operations to include in-house union fire alarm technicians and sprinkler fitters, all under one roof. This gave us total system integration control to ensure that the detection controls functioned in conjunction with the mechanical fire suppression 100% as designed without subcontract finger pointing. One company installing and maintaining multiple integrated systems, a philosophy we still follow today. In 2003, we acquired direct manufacturers distribution for Reliable Sprinkler Corp., Viking, Notifier and Fike, and we expanded our territory to include all of New York and New Jersey. In 2005, we further expanded our territory to include the entire Northeast Region out to Chicago. In 2007, we once again found that we can cover a much broader territory with the methods and procedures we put in place for expansion. Our territory now includes the entire eastern seaboard. In 2008, ARCO obtains New York State Minority Business Enterprise Certification (MBE). In 2012, owner of ARCO purchases the historic O.H. 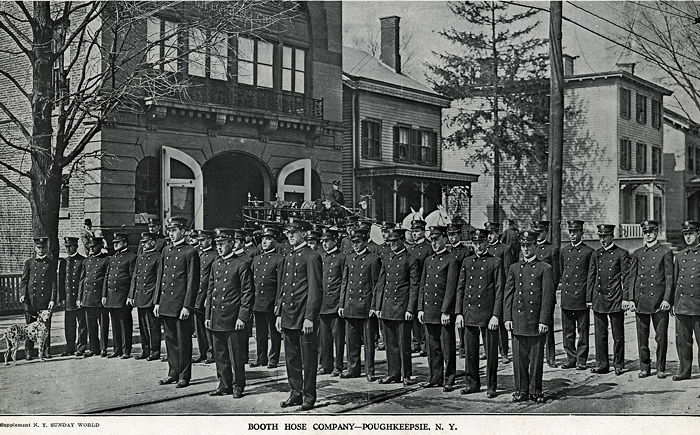 Booth Firehouse from the City of Poughkeepsie in pursuit of Federal HUB-Zone status. In 2015, ARCO acquires direct manufacturers distribution for Janus Fire Systems. In 2015, after 3 years of a self performed total renovation of our firehouse ARCO moves its operations to the 9,000 sq.ft. historically registered landmark. Originally built in 1907, O.H. 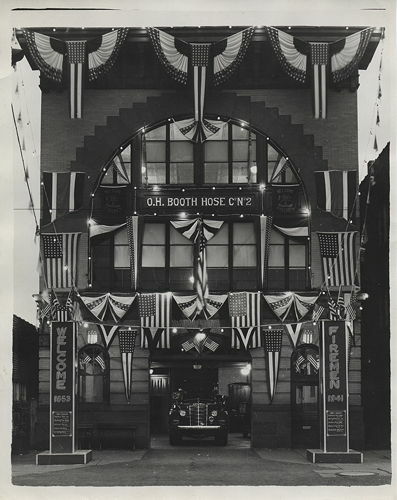 Booth Firehouse is located at 532 Main Street, Poughkeepsie NY. This move is part of our marketing plan for continued growth as a premier fire suppression contractor.